Flowers are indeed very useful. They can be given to people to say many things and express emotions – I love you... Thank you... Congratulations... I am sorry... Get well soon... Sorry for your loss... Happy anniversary... Happy trip... Flowers can also be given to simply cheer up a person or maybe just to let your presence be known to someone. Of course, flowers are must-haves for weddings, reunions, special events and other gatherings. The only problem is many of us still do not know how and where to get the flowers we want when we need them. Lots of you, spent money online for good deal on flowers but end of the day your lovely friends and family received half dead boxed flowers. Or even sometimes a person brings totally wrong flowers to the door step. All of us have heard about the concept of flower delivery, if you use few minutes and few tips , you can have the best flower delivery solution. You get the flowers you want delivered to you or to others whenever you need them. Where can I buy a bouquet of flowers? Flowers can always be bought from flower shops, boutiques, and of course, online. Online flower shops prove to the best modern option now a days since buying from them can spell a high level of convenience. Buying a bouquet of flowers on the web, for example, can mean saved time, saved gas, and more convenient means of choosing the best flower type and style. You just have to make sure The Online Florist Website you are buying the flowers from They are real local florist of the city you want to deliver or your local city. Use Google to search Florist in city name. You will find all the real local florist in Google with their address, Phone number and Most importantly Customer Reviews. Select the Florist with best reviews and give them a call or simply click their website. On the florist website make sure They have local city address and local phone number. You can check the florist reviews on www.yelp.com also. If you want specific color flowers or specific kind of flowers, You should call or contact the florist via email at least a week prior you need them. If you need the flowers very short notice, You just find the best local flower shop and ask them what flowers and design available for your occasions. Any Reputable Flower Shop like Garden of Roses, will make you the perfect flower arrangement with real care and send you a picture before delivery just because you talked to them personally for 5 min and you are choosing them just because they have best florist reviews and comments. Where to buy bulk flowers? Buying from an online flower delivery shop does not only mean you can purchase a single-stem rose, a bouquet of tulips, a basket of get-well-soon flowers, or maybe a bridal bouquet. You can also get to buy bulk flowers for all types of occasions. Buying flowers in bulk can mean getting the entire package at a much lower price since you do not have to pay for them individually but for the entire order. It is ideal to buy flowers by the bulk for flower needs for weddings, debuts, reunions, funerals, company events, and the like. As mentioned earlier, after searching Florist, Flower shops in Google, the best thing is to call the local florist and get pricing for bulk flowers. Where to buy wedding flowers? Flowers are a must for weddings. You need flowers for the bridal bouquet. You need flowers for the bridesmaids. You need flowers for the groom and the other guests. Also, flowers are used to decorate the venue for both the marriage ceremony as well as the reception. Instead of buying all wedding flower needs individually, the wise move is to simply order a wedding flower package from trusted flower delivery suppliers such as Garden of Roses. Before ordering wedding flowers, you should read the florist's Google Reviews, City Voter Comments. It is easy to order flowers online. 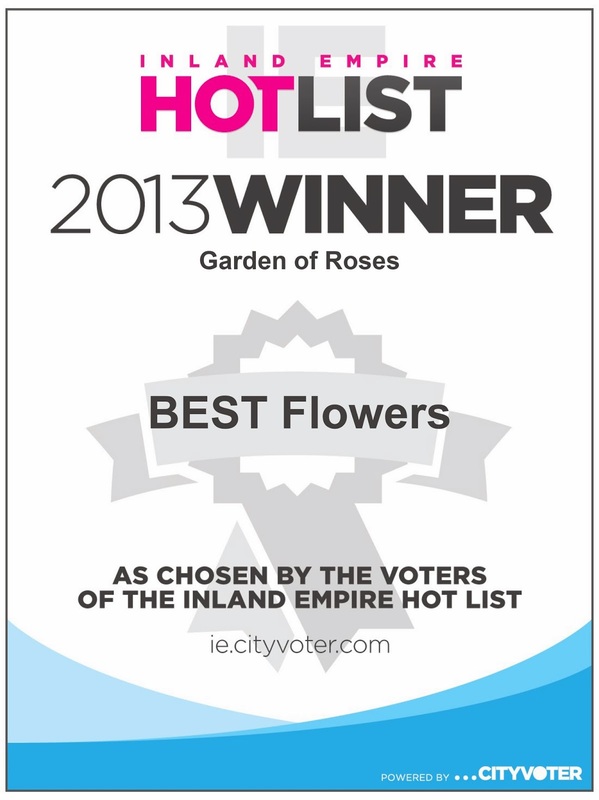 Most reputable online flower stores like Garden of Roses gives you options when it comes to ordering. You can shop online or you can place your order by calling. You can select flower arrangements by the color, by the occasion, by the price, or by the flower type. Prices are clearly indicated; photos are provided; and both overviews and reviews are available for each product. That way, shopping for flowers of any type is made both convenient and easy. In the end, it is not difficult to choose which types of flowers to send someone. You can choose from hundreds of categorized flower arrangements. You can choose flowers for occasions like anniversaries, weddings, and birthdays. You can also choose depending on color themes or on flower types. You also have the option to upgrade orders like including balloons and stuffed toys or customizing the delivery date and message. Most of the reputable Florist like Garden of Roses, will give you the option to browse floral design by Colors, Seasons, and Occasions. Just make sure you find the Real Local Florist in the city and read their customer reviews and Simply call them. 5 minutes for reviewing and 5 minutes on the phone with real local florist, Trust me you will have the best flower delivery solution for all floral needs.